Today students researched information about koalas and then displayed their information on a mind map. First students were introduced to the mind mapping strategy. Mind maps are a visual method to display, categorize and connect key ideas and information. Together we looked through a variety of mind map samples and discussed the characteristics of a mind map. A mind map explaining how to create a mind map! 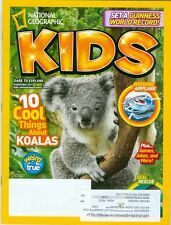 Next we read an article about koalas from a magazine. Students picked out key ideas from each paragraph and represented each idea with one or two key words. Then we started creating a mind map together. We discussed what categories we would use in our mind map (appearance, life cycle, habitat, diet, behaviour) and debated what ideas would fit under each category. Finally students made their own mind maps about koalas. Students engaged in terrific discussions debating where different ideas belonged on the mind map.